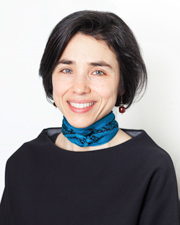 An Associate Professor in the Division of Social and Transcultural Psychiatry at McGill and a Scientific Advisor/Investigator at SHERPA , I conduct research and evaluation related to child wellbeing and supervision, parent-child separation, and alternative care in Canada and in low- and middle-income countries. I am interested in understanding how different professional and ethno-cultural communities understand and experience “(in)adequate (parental) care” and what are their effects on children and families. I also collaborate with clinicians and researchers across Canada and internationally on issues related to equity in access to healthcare and social services, particularly for migrant children and their families. Cross-cultural work has fuelled my interest in ethical and methodological issues in research with children and young people. I lead multi-disciplinary, mixed-methods investigations with an ecological orientation that privilege the voices of children and youth and aim to inform the development of effective policies and programs. I regularly collaborate with public and private institutions to ensure the utilization of findings. Thus, I am a Core Academic member of the Child Protection Monitoring and Evaluation Reference Group (CP MERG), Program Co-Chair of the Youth Focused Evaluation Topic Interest Group of the American Evaluation Association, Board Member of the International Society for Child Indicators (ISCI), and active member in a number of other Canadian and international child-centred professional networks and associations.